Image credit: Scott Park, 2016. All images used with permission of the artist. 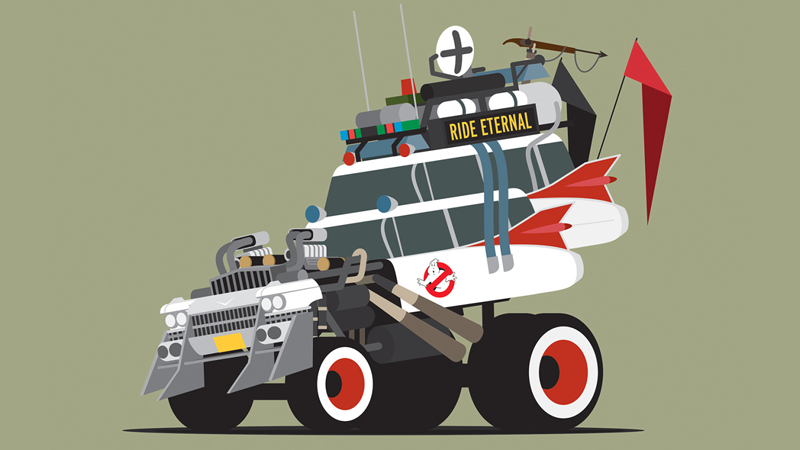 The iconic vehicles of film and TV—your Ecto-1s, your Deloreans, your Batmobiles and what have you—are already pretty cool. Kit them out for the Mad Max post-apocalypse though? Infinitely cooler. That’s what Scott Park did for his latest project, part of a monthly art challenge by Planet Pulp for artists to put their take on movie and TV vehicles. As Park, whom we’ve featured before, has already proven himself a dab hand at recreating these iconic rides, he decided to put a bit of a twist on them by taking these vehicles down the Fury Road. The results, as you can see, are pretty damn rad. Check out a few more below, and see even more of them, as well as Park’s other illustrations, over at his tumblr and portfolio.